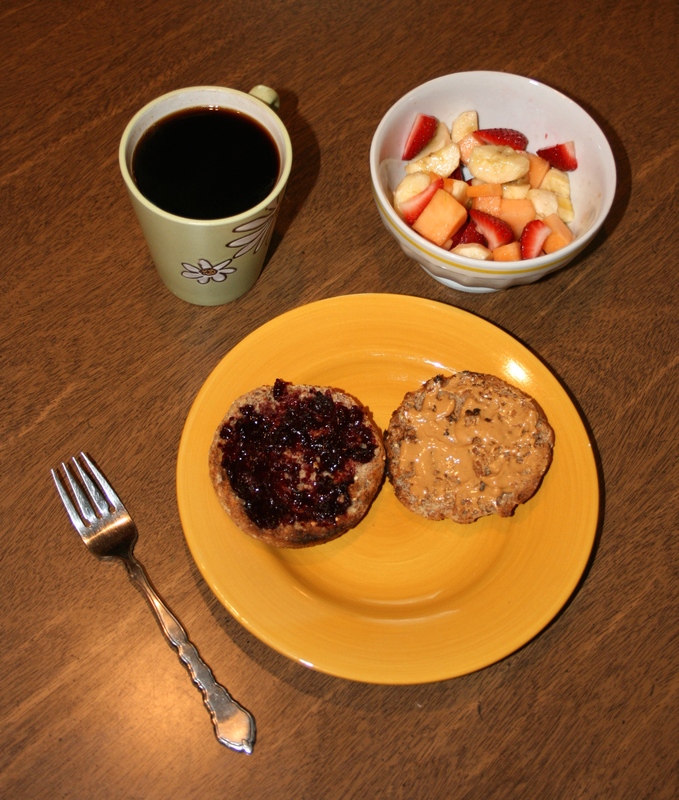 Today started off at 9:45am with breakfast being an Ezekiel English Muffin with one half of it spread with peanut butter, and the other a strawberry jelly from Trader Joe’s (sweetened with fruit juice!). I also had a bowl of fruit: a banana, strawberries, and cantaloupe. Of course a cup of black coffee was served along side it all! I then ran some errands, worked on some blog stuff, and then was ready for lunch! 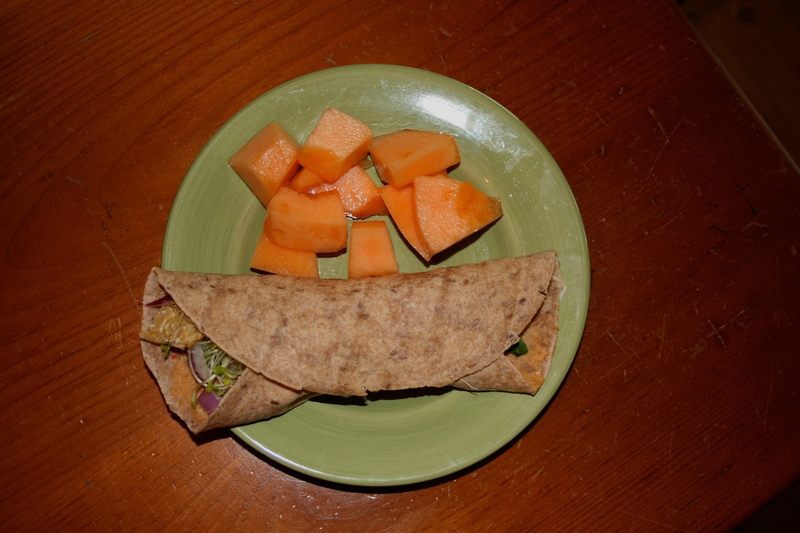 Around 12:00pm I made my Spinach Veggie Wrap but instead of a spinach tortilla, I used a whole wheat tortilla. I also ate some cantoulpe with it. 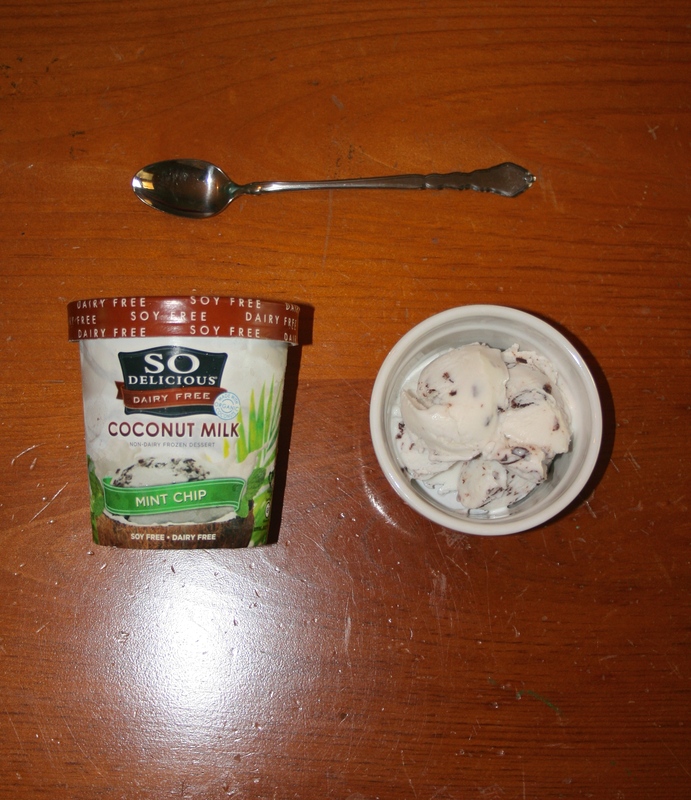 About an hour later, I wanted a sweet treat so around 1:00 pm I fixed a little bowl of So Delicious coconut milk mint chocolate chip ice cream. My life basically changed after discovering this dairy free/vegan ice cream. It is incredible! Check out their products on their website, they have tons of yummy dairy-free products and I have yet to try one that didn’t blow my mind! 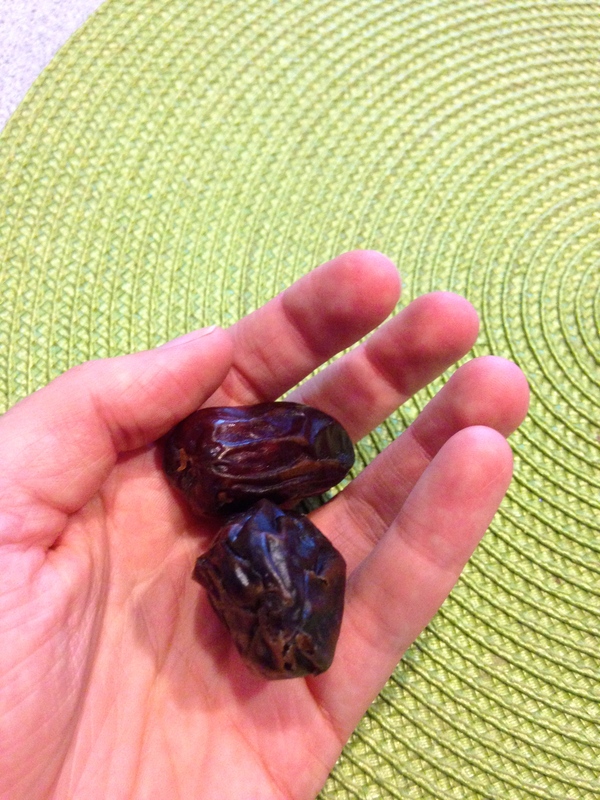 Before heading out for some shopping with my two sisters, I grabbed some dates and snacked on them around 2:00pm. Dried fruit is probably my favorite snack, it’s so satisfying and sweet! 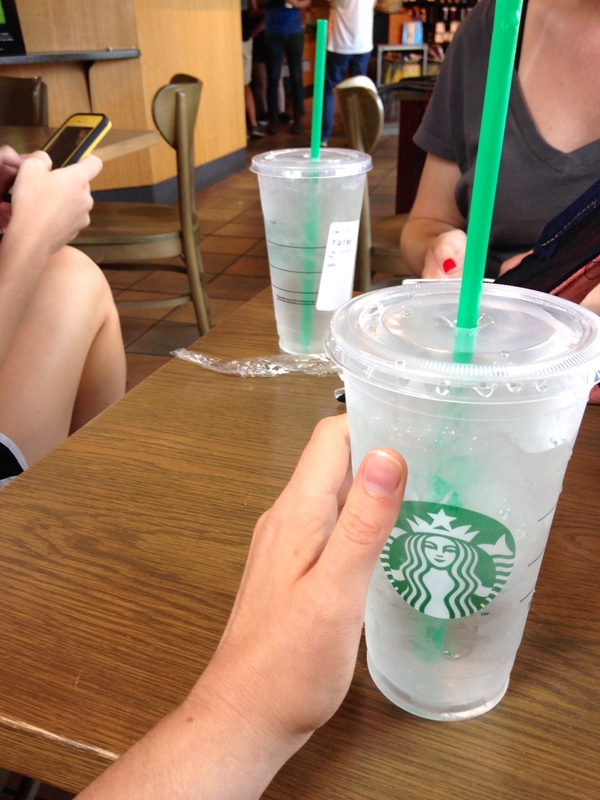 While out shopping, my sisters wanted to go by Starbucks for some “treats” but I just was craving a big cup of ice water, and water is free so obviously it was the best choice! So refreshing on a hot summer day! Once we got home around 4:00pm I wanted to get in some Vitamin D and have some reading time. 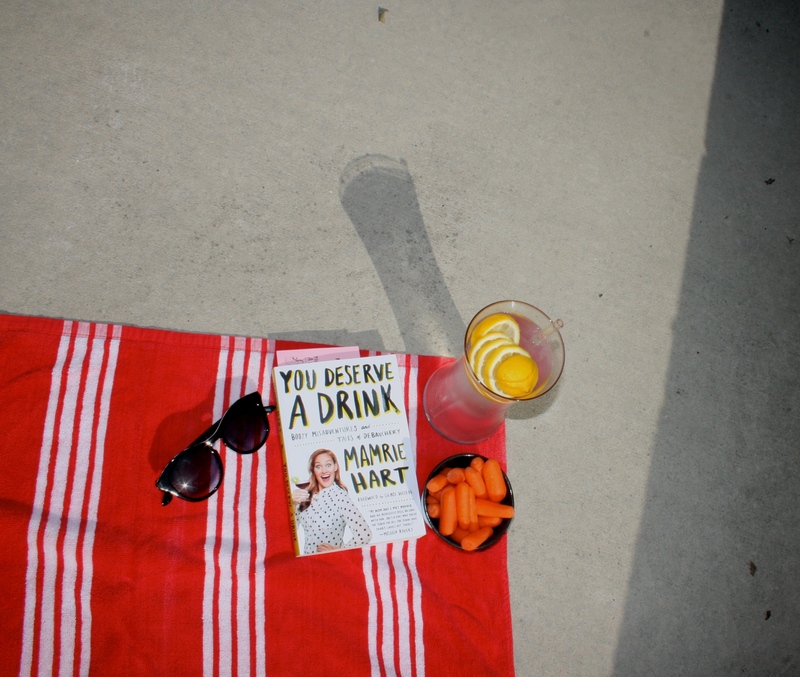 So I laid outside for about an hour and sipped on some lemon water that I’d been drinking throughout the day, munched on some baby carrots and read. I’ll be the first to admit, I hate to read and have never really been much of a reader. But one of my favorite Youtube personalities/funniest person alive wrote a book and I was able to go to one of her book signings to pick up the book, meet her, laugh at all her jokes, and get some pretty great selfies. Even for a person that hates to read, this book doesn’t take much effort to read, because it’s absolutely hilarious! Check out her Youtube channel for lots of laughs! After laying out and reading for a while, I came inside and snacked on THE BEST SNACK EVER. 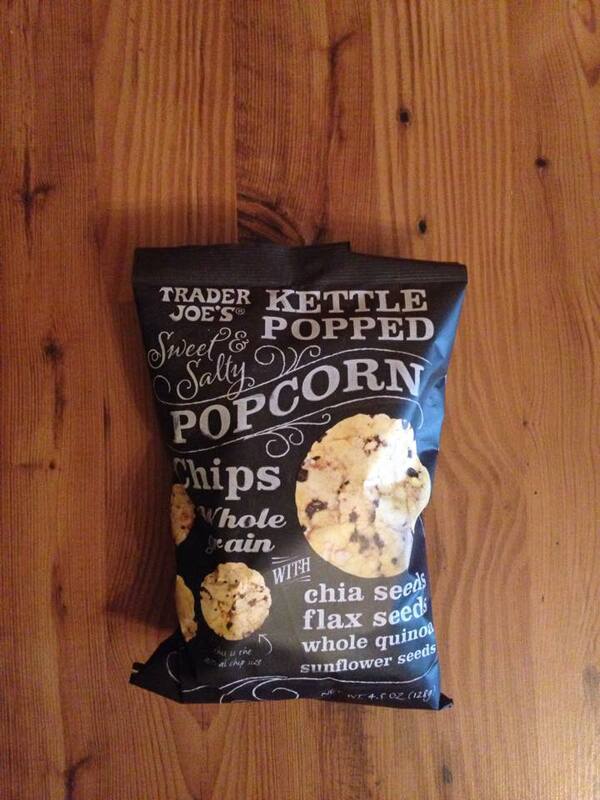 Trader Joe’s makes these popped chips that are so good, you may cry. So around 6:00pm I had a pretty generous handful of these incredible bits of heaven. 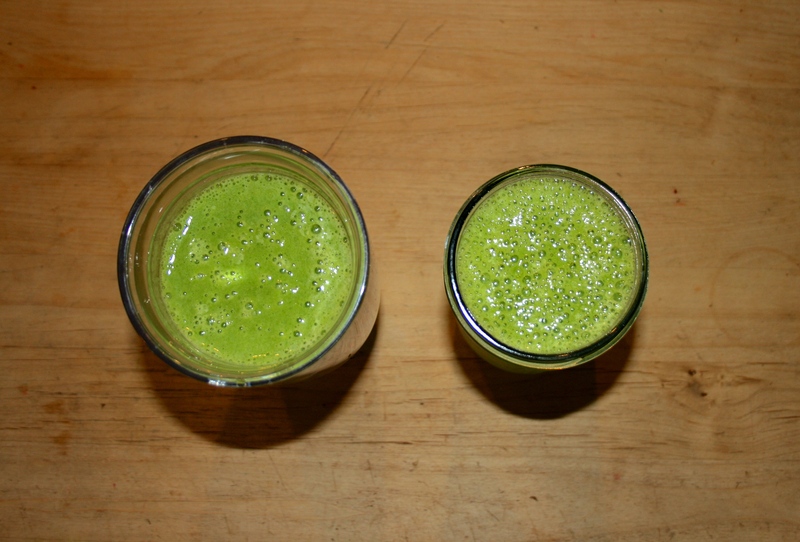 While snacking on the popped chips, I made a green smoothie for myself and my sister. I try to drink a green smoothie everyday, because of all the nutrients I can get from it, so I whipped one up and we both sipped on it while watching some TV. 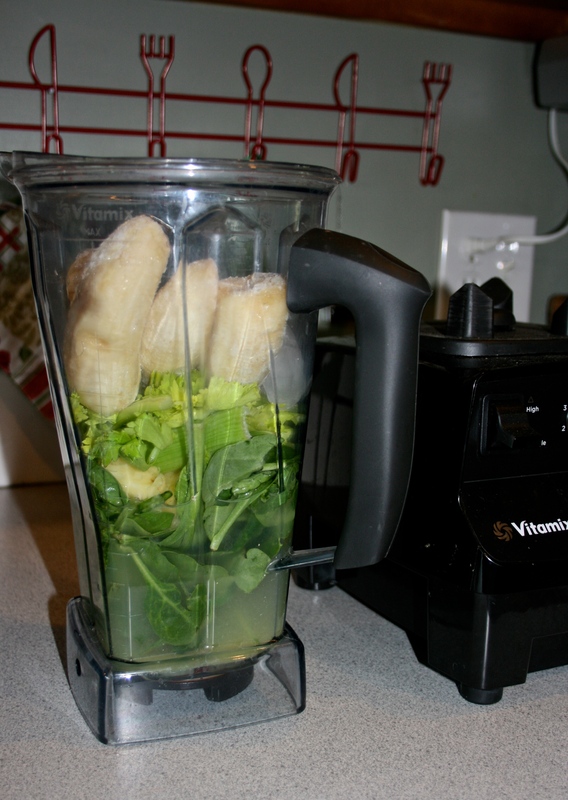 Check out my green smoothie recipe at https://theplantedvegan.com/2015/01/11/go-green/ ! 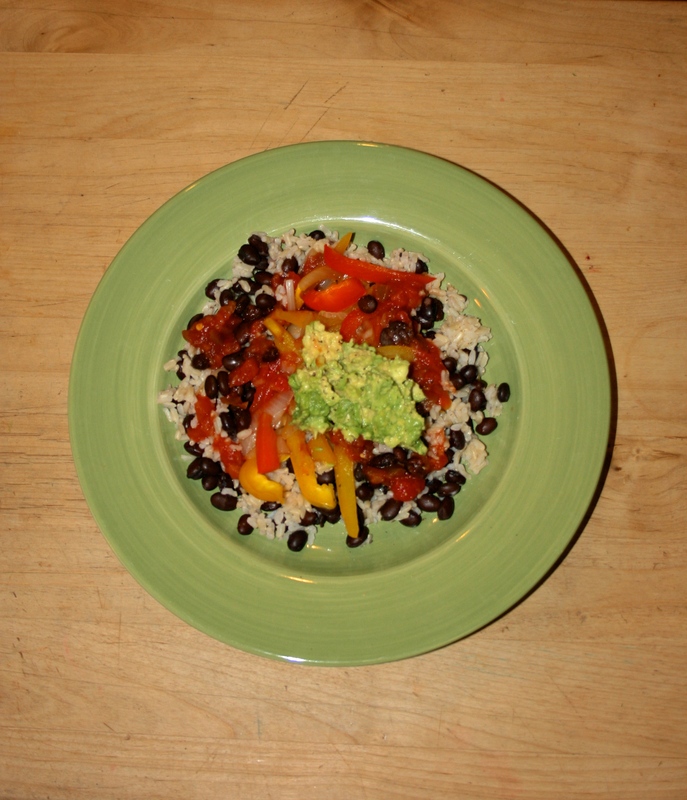 I didn’t make dinner until around 8:00pm and that was a quick and easy Chipotle inspired meal of rice, beans, onions, peppers, salsa, and some guacamole. This is definitely my “go-to dinner” because it’s delicious, quick, easy, and super cheap. 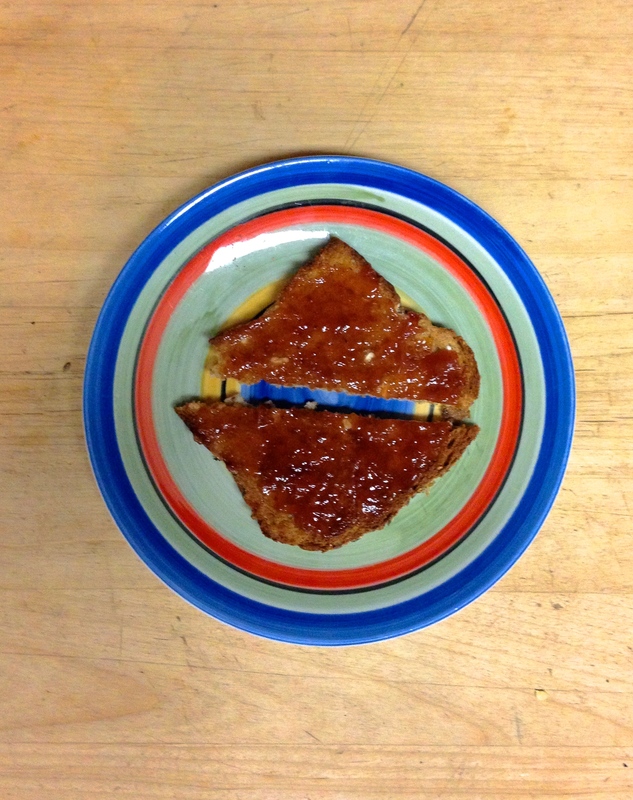 I finished off my night with a piece of toast, with the same Trader Joe’s jelly and some juice by Trader Joe’s at about 11:00pm. 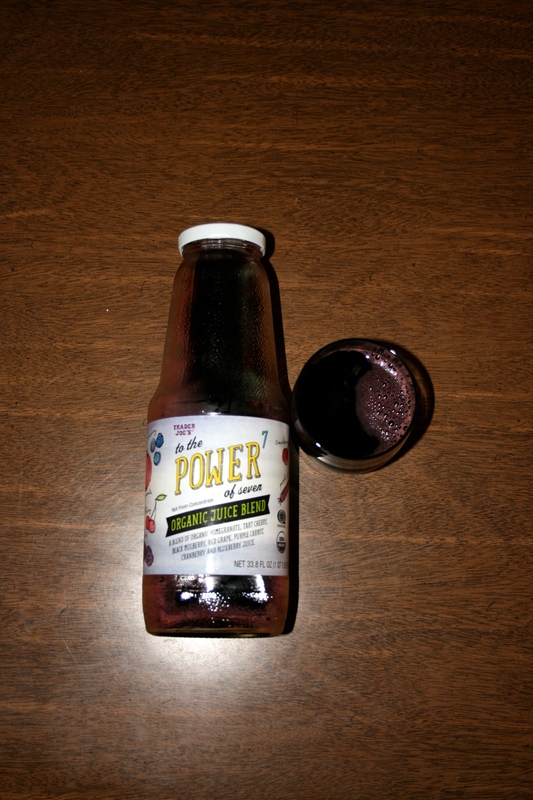 The juice is called To The Power of Seven and it’s a combination of pomegranate, cherry, mulberry, grape, carrot, cranberry, and blueberry juice. It’s amazing, and filled with antioxidants and nutrients. Also, if you can’t tell I’m a huge fan of Trader Joe’s. YUM. 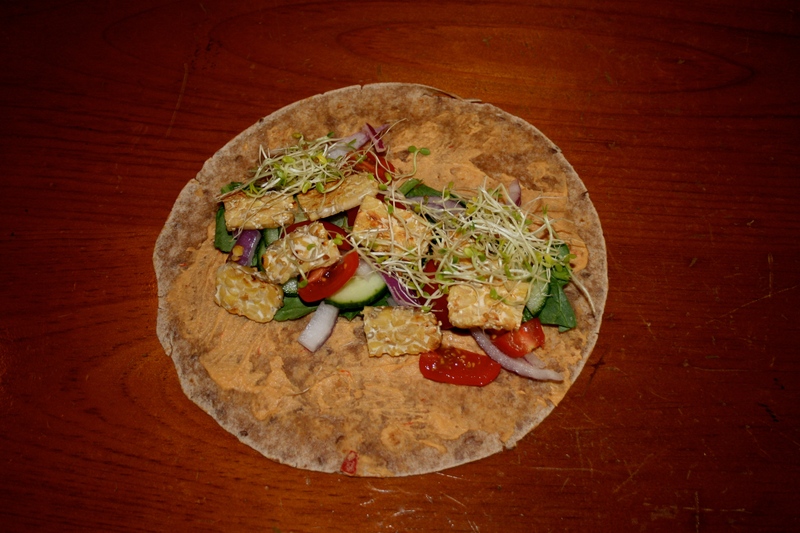 Everything looks delicious and I’m looking forward to the wrap recipe! Really wish there was a Trader Joe’s near me. Except I would probably spend far too much money there so maybe it’s a blessing that there isn’t haha. Thank you!! I know what you mean, I have to limit my visits there, because anytime I go I have to buy everything!